"Content Inc. is an amazing opportunity for any entrepreneur striving to make a difference to the world." Joe Pulizzi provides a refreshingly encouraging model of how anyone can use content marketing strategies to build a loyal audience and gain the best understanding of what products ultimately make the most sense to sell. This is the least risky business launch model, and would not have been possible 25 years ago. Internet and mobile technologies have allowed anyone to publish and receive content. As online publishing becomes mainstream, more content providers are willing and able to create content. People are more open to receiving any content that will help them live better lives, get better jobs or accomplish particular tasks. Social media and Google help in the sharing and searching of useful content. 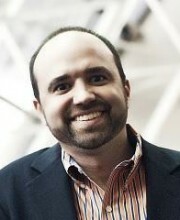 Content Inc. is a comprehensive, proven model based on Joe Pulizzi’s research. The Sweet Spot – the intersection of your knowledge or skill area and your passion. Content Tilt – telling the story from a different point of view. Building the Base – where the rubber meets the road. Select the platform, work on content creation and repurposing, plan the publishing calendar, organise staff and collaboration partners. Harvesting the Audience – get found and be connected with an audience to build a subscriber list. Diversification – expand for growth. Filled with case studies, tools and strategies, Content Inc. provides a blueprint for businesses to follow. "The more you can get the people in your audience to engage in your content in different ways, the more likely they will be to buy from you." While focusing on a specific niche, a business can repurpose a piece of useful content in many ways to reach out to a wider audience. For example, Jay Baer of ‘Convince and Convert’ publishes a three-minute video show called ‘Jay Today’ which is very well received. After each episode, the content is transcribed and edited, and posted to various channels, including YouTube, iTunes, his website, Facebook, LinkedIn, Twitter, Google+ and others. Repurposing of content requires advanced planning and has the advantages of cutting production time and serving a wider range of audience. In order to diversify and grow a business, Joe Pulizzi observed that successful Content Inc. entrepreneurs use the ‘three and three model’ as an effective framework. Joe Pulizzi walks the talk. He blogs at the Content Marketing Institute website and has written a number of books, including this one. The blog and books positioned him as a thought leader and he was invited to speak at events. As a business, CMI is active in major digital channels like podcasts, YouTube, Facebook, LinkedIn, Twitter, Google+ and Slideshare. CMI’s print magazine ‘Chief Content Officer (CCO)’ has a readership of 20,000 marketers as of September 2015. The print and blog content are fully integrated and this is critical to the overall strategy. CMI runs several major events like Content Marketing World every year where it can meet its audience in person. "Focusing on pain points just gets you to the front door. To get to the hearts of your customers’ needs, you have to focus on what they want to be and help them get where they really want to go." Marcus Sheridan has never actually installed a fibreglass pool, but the majority of the world believes he is the expert. Marcus listened to customers, to employees, to podcasts, to learn as much as he could. Then he brainstormed for content ideas that his audience wished to know about. Marcus believed there should be at least 50 questions. Answering these questions provided immediate and relevant help to homeowners planning to purchase a pool. "It takes time to build a loyal audience. It takes time to find the right revenue model for your Content Inc. business." Beyond content, there are considerations of appropriate calls to action, distribution channels, teams, processes, and quality control. What does the journey of successful Content Inc. models look like? Darren Rowse’s initial blog was a camera review site. He found that his readers would visit his site to research a certain camera and then disappear and never come back. Darren felt the dissatisfaction that he was not building a community. He then changed his ‘content tilt’ to one that teaches photography skills to beginners. He stayed with this focus for two years till his audience began to grow into the next level of content. Digital Photography School now has over a million subscribers. However, being patient does not mean postponing revenue generating opportunities. After all, the bills need to be paid. CMI generated revenue through the benefactor (exclusive sponsorship) model. Digital Photography School did it through affiliate sales. Other methods include YouTube advertising and consulting. The Content Inc. model works for both entrepreneurs striving for growth and branding, and for businesses with existing products to set themselves apart from the competition. It works best when one has a passion for the topic, as it becomes more enjoyable to research and create the content. You probably have some special knowledge that people would be keen to acquire. What is the special tilt that no one else is addressing which will set you apart?